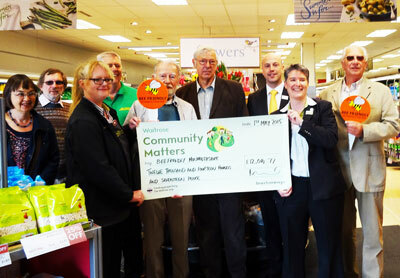 Bee Friendly Monmouthshire received a cheque for £12,014.77 from the Waitrose Community Matters fund. This was presented at the Caldicot branch. Waitrose Cheque Presentation at the Caldicot Branch. This entry was posted in Uncategorized on May 5, 2015 by BfM_admin.